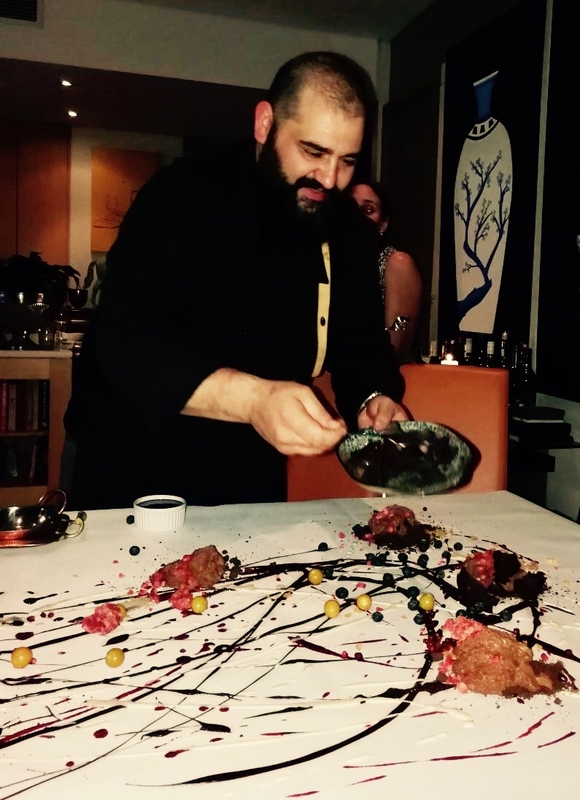 Chef Santi Louzán is the perfect Chef to launch a Chef’s table in his home in Cape Town. He is warm, welcoming, creative, a showman and one of the most charismatic people I have ever met. Santi hails from Galicia in Spain. Here he learnt from his Mom and Granny to “love the ingredients” – he was surrounded by artisans and family members who were farmers and fisherman. In his teens he moved to England with his family. He started at the bottom of the chain in the restaurant world – washing dishes and slowly worked his way up. 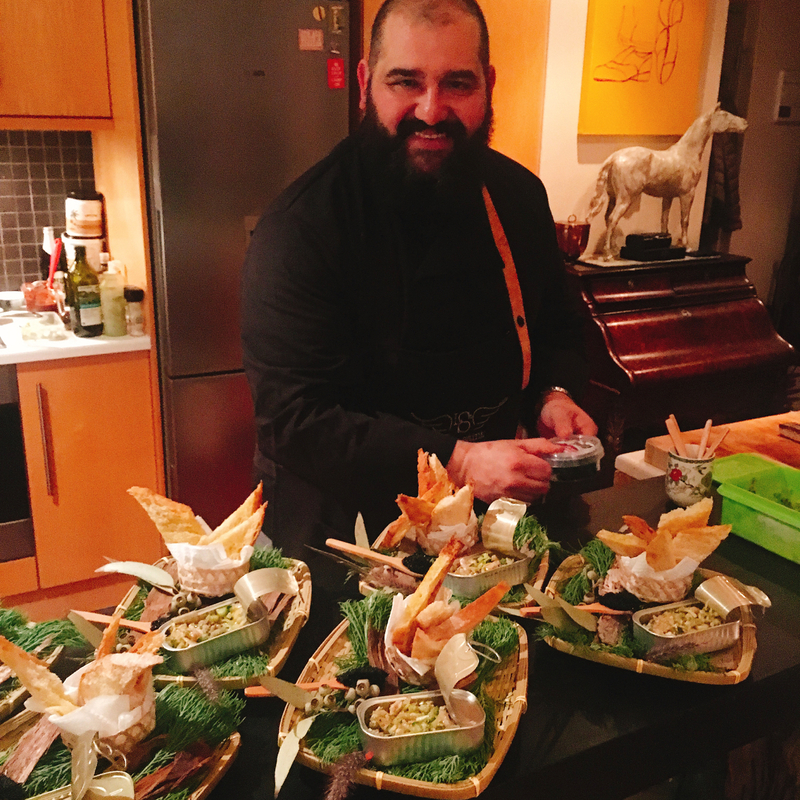 His career spans from being a Chef – winning a Michelin star for the kitchen he headed up – through to the business world of real estate in London. Finally he met the “one” – a South African girl called Dominique. Together they decided to “live the dream” and move to Cape Town. Here they started their restaurant called Little Saint (Santi means little saint!). Little Saint gained high accolades for their cuisine – but sadly did not make it. It broke my heart when they had to close down. 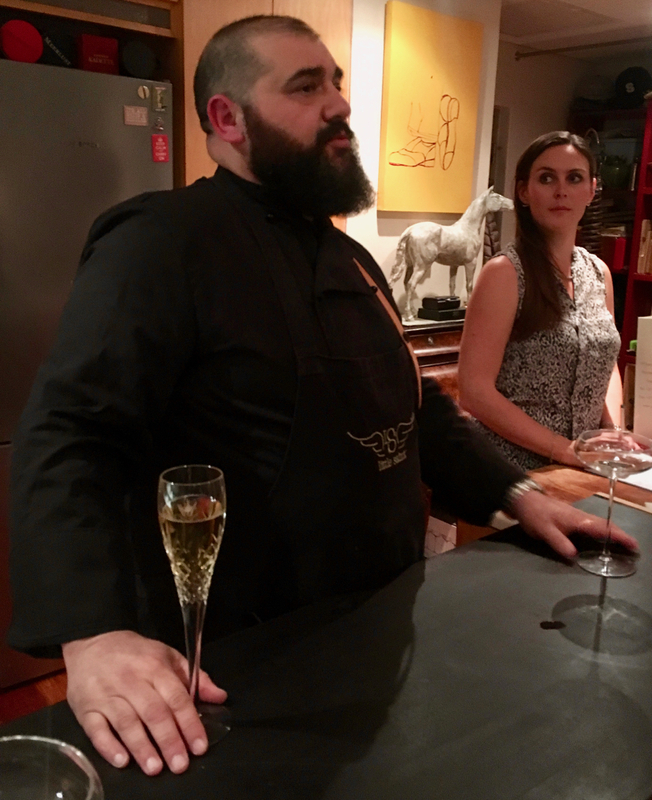 Chef Santi welcoming guest with a glass of champagne and a chat. I am going to run you through the evening so that you know what to expect! 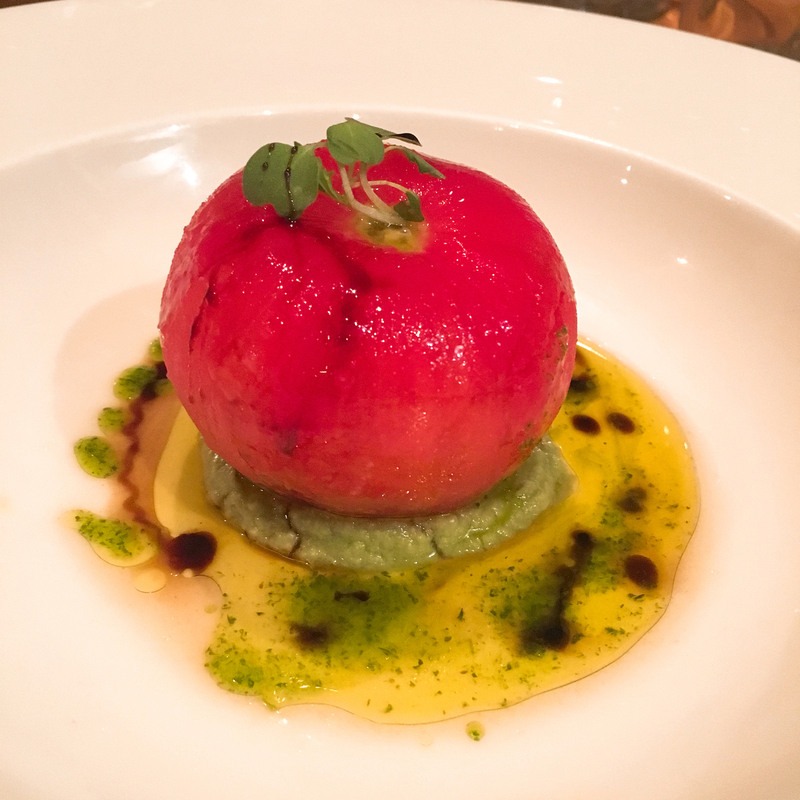 I was invited to come and try out Santi’s new Chef’s Table with some of my fellow Travel Industry friends – lucky me!!! Is it a simple tomato? No – it is a prawn cocktail dish – the prawns are hidden inside! 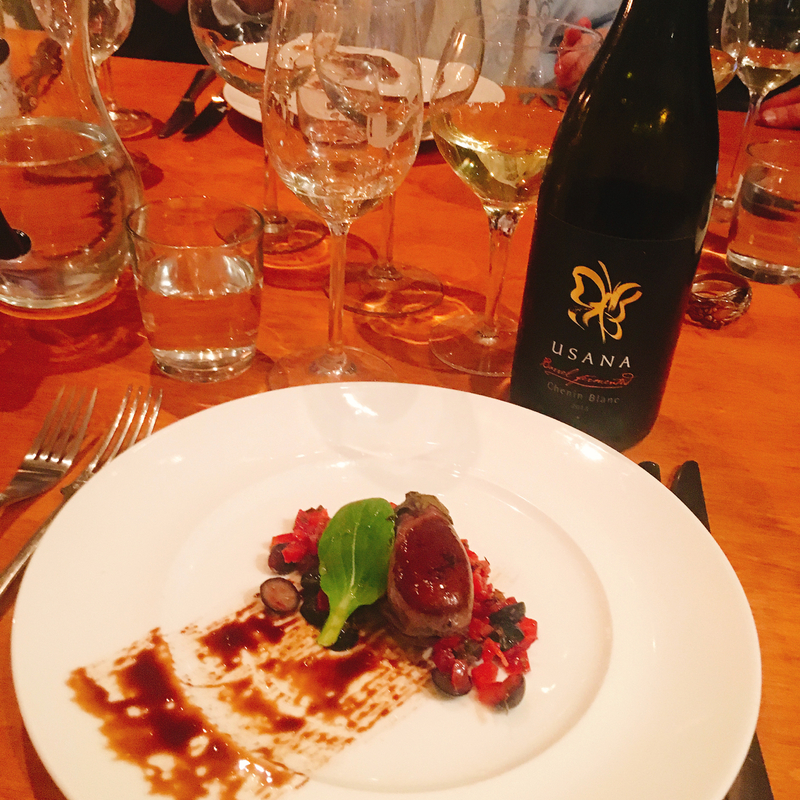 Aubergine and Berries perfectly paired with the Usana Chenin! The combo was delicious! What a fab way to caramelize the sugars in the Aubergine! Plus it puts on a great show! The end result – delicious! I am an Aubergine fan! Feed me aubergine and I am a happy girl. A reminder that in South Africa we call it Brinjal! 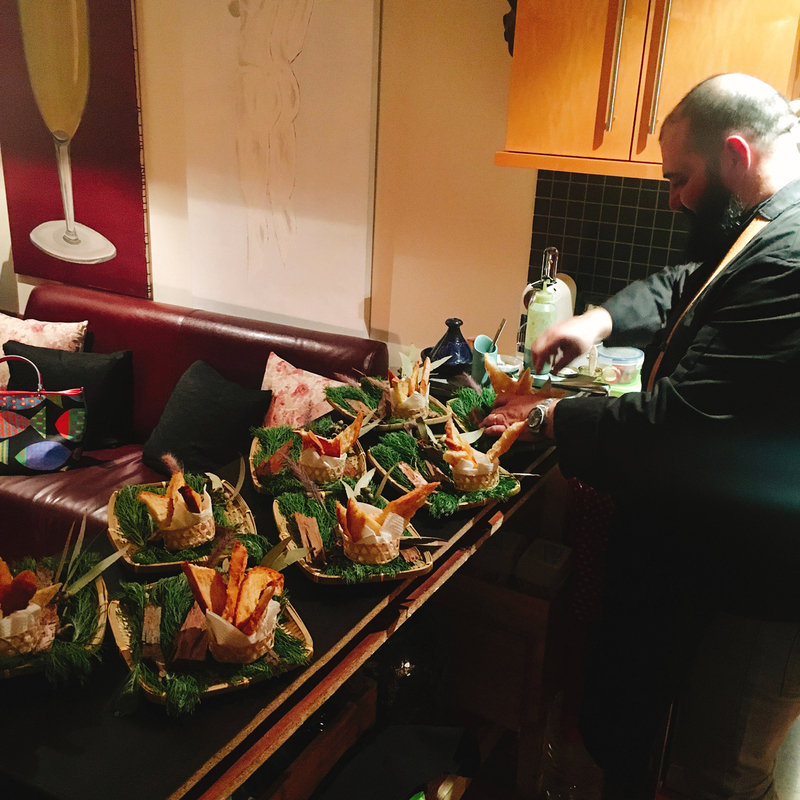 Such fun – Santi went foraging for decor in the local forest that morning! 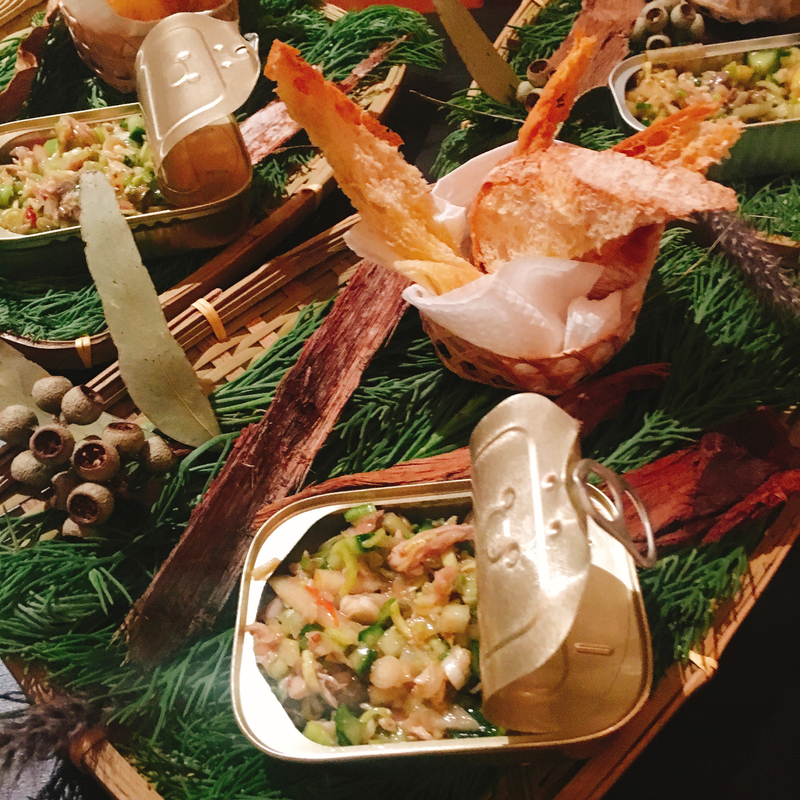 I loved the creativity of this dish! This is the prep for Santi’s ceviche dish! 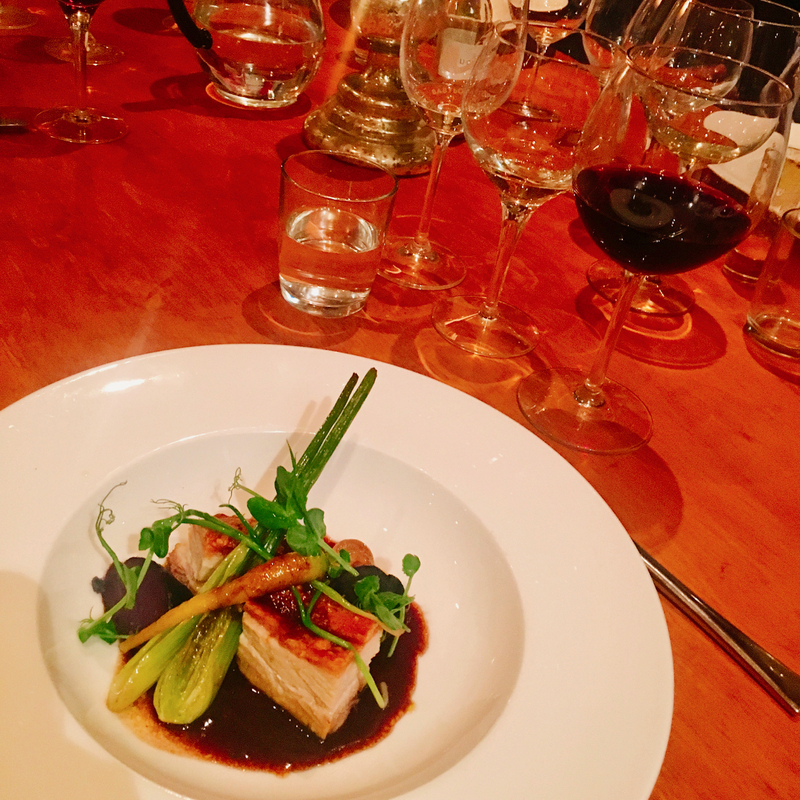 Pork Belly – a signature dish of Chef Santi! I ate a lot of it when visiting Little Saint Restaurant! It is always a winner with me! The grand finale – the artist at work! I am not allowed to explain this one – you just have to be there to find out what on earth he is up to! Since our test run visit – Chef Santi has moved to a larger apartment. I went to check it out this week. 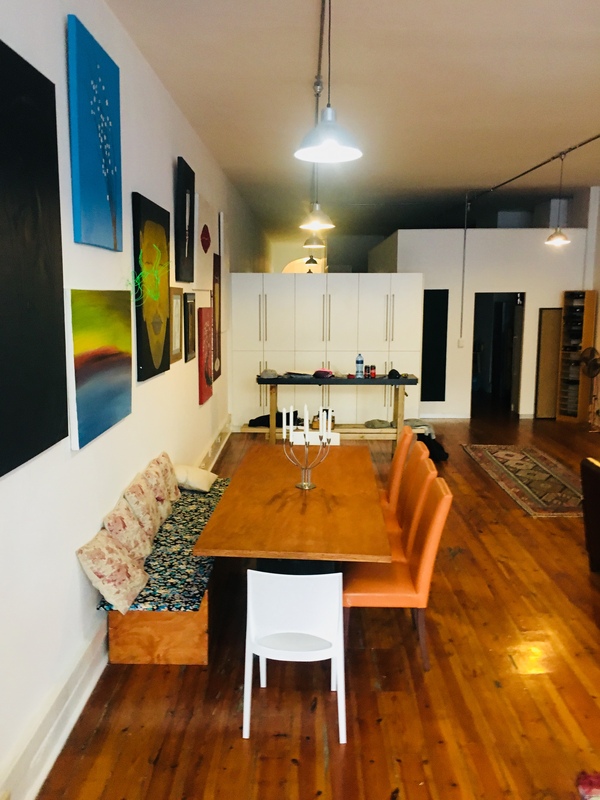 It is large and has a New York Studio loft feel. I loved the wooden floors and the large open wall spaces. They have filled the space with a combination of their art and a wonderful passage of family pictures and happy memories. This is a perfect spot for the Chefs Table as it reflects the wonderful regeneration of Cape Town as a city. The Chef’s Table launches this week and is open for bookings. They are open on a Wednesday and a Thursday night. 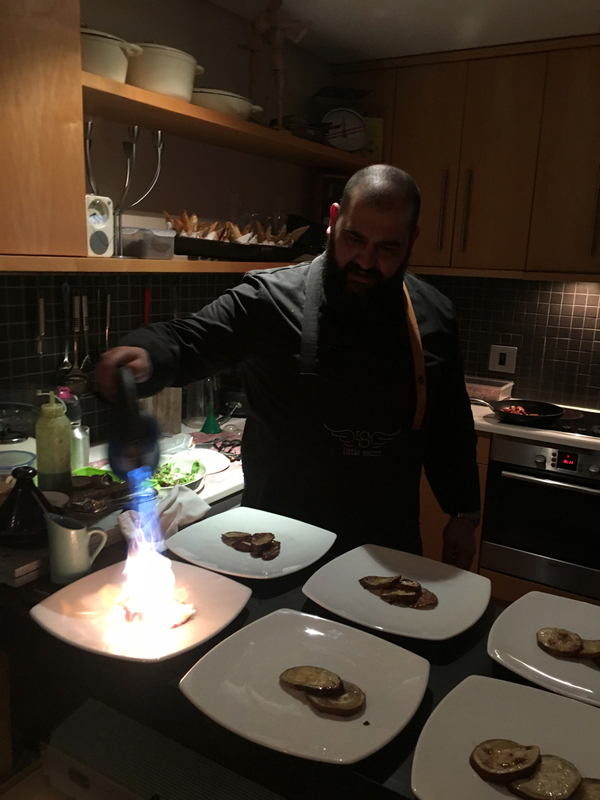 They can however be booked privately on other nights of the week – subject to Chef Santi’s availability. My advice would be to book this in advance as they get very booked up over Cape Town’s summer season. 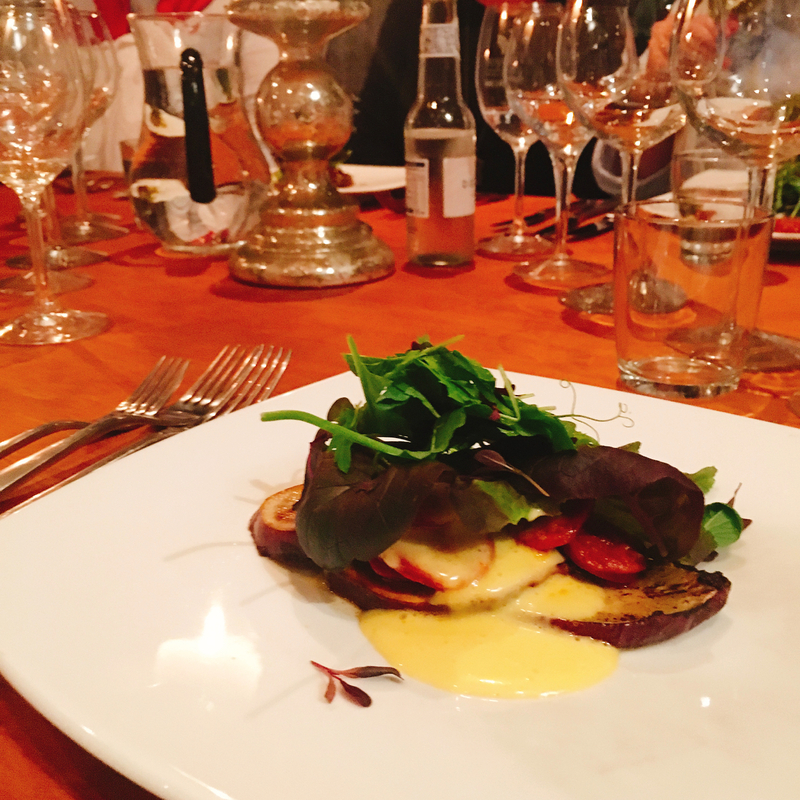 Concept – Shared Social Table – 7 food courses paired with 5 wines. Note the Chef’s Table can be booked online. The website shows live availability and you can book instantly. Book now. Wednesday & Thursday night only to start – shared table. The maximum number of people will be 16 per evening.